She said no one from her family came to her rescue. A Muslim woman from Bhopal in Madhya Pradesh has alleged that she was assaulted by her in-laws for protecting cows. Mehrunisa Khan, the state president for National Cow Service Corps in Madhya Pradesh, said that she was thrashed by her in-laws for running a cow shelter. “They (the attackers) are threatening me on WhatsApp. They have sent me photographs of severed heads and said that one of those could be mine soon. Either kill me or save me,” she said, reports NDTV. Khan, who runs a cow shelter in Neemuch said that no one from her family, including her own parents and daughter, came forward to help. She also alleged that the attackers threatened to pour acid on her face if she continued doing the work. According to a report by Deccan Chronicle, she had requested for police protection several times due to threats from family as well as outsiders. However, no security was provided to her. She has now written to both Prime Minister Narendra Modi and Chief Minister Shivraj Singh Chouhan, requesting their urgent intervention. Her family, on the hand, while denying the claims, said she was having an extramarital affair and was trying to press fake charges on them, reports Hindustan Times. Cow protection has been an issue of key concern in Madhya Pradesh with the state having dedicated cow protection board for the protection of cattle. 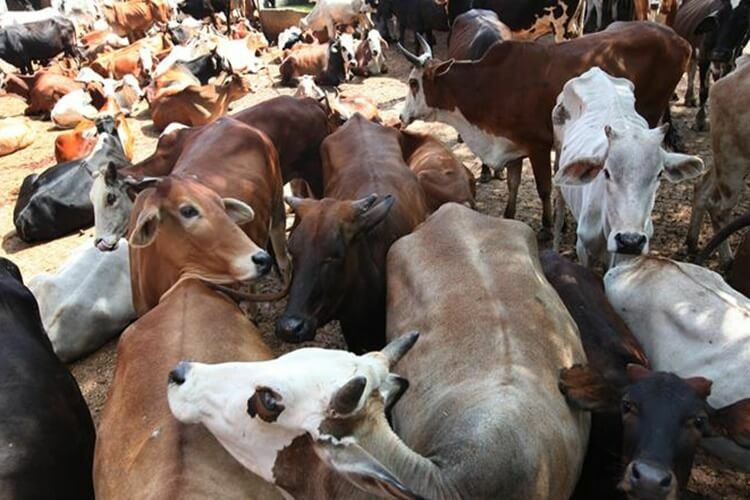 Last month, Swami Akhileshwaranand Giri, chairman of the executive council of Madhya Pradesh Gausamvardhan Board (Cow protection board) proposed the setting up of a ‘cow ministry’ to ensure the protection of cows. Giri had said that ‘a cow who is worshipped as mother’ can only be saved if there is a separate ministry.